A Microservice architecture can beef up your team’s speed by adjusting how they design and ship code, and developers and business leaders can get ahead by implementing it inside their teams. The 1-2 punch of serverless and microservices combined is driving totally new types of applications and frameworks. So what are microservices all about? The concept is based on a pretty simple idea: it sometimes makes sense to develop your applications as a lot of very small interlocking pieces instead of one giant whole. These components are developed and maintained separately from each other, so updates don’t require re-doing the entire codebase. 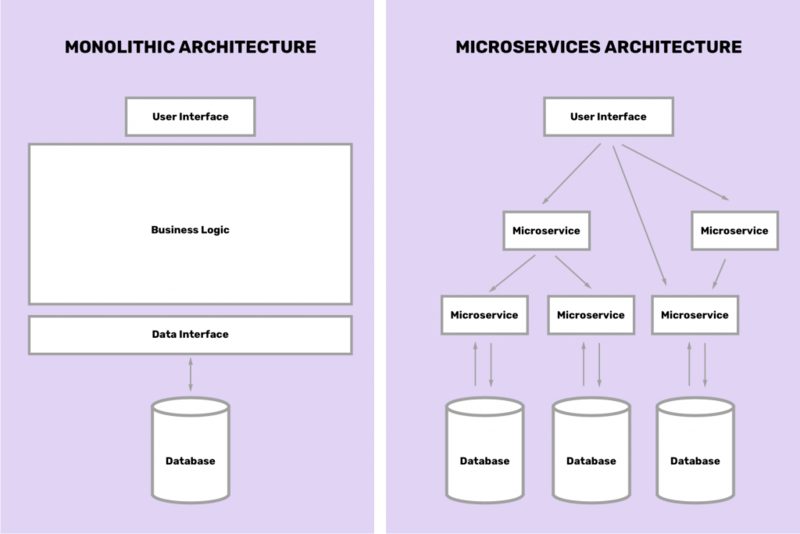 Along with a few other design requirements, that’s the basic idea of Microservices. Traditional application design is often called “monolithic” because the whole thing is developed in one piece. Even if the logic of the application is modular it’s deployed as one group, like a Java application as a JAR file for example. Imagine if all of your notes from different college classes were in one section in your binder. This type of code writing and deploying is convenient because it all happens in one spot, but it incurs significant technical debt over time. That’s because successful applications have a tendency of getting bigger and more complex as your company grows, and that makes it harder and harder to run. Because of these and many other accompanying issues, a new way of developing applications is becoming popular. 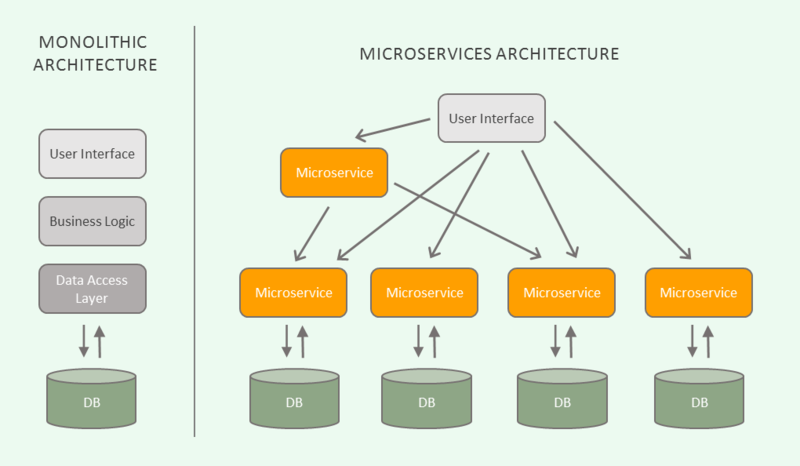 Microservices separates all of the major parts of this monolith from each other, untangling the codebase and drastically changing how developers can write and interact with it. Overall, it’s largely the same: you have a user interface, some functions, and a database. With microservices though, those functions (not literally functions, but functional parts of an application) are all separate. They communicate with the user interface, each other, and instances of the database. A team designing a microservices architecture for their application will split all of the major functions of an application into independent services. Each independent service is usually packaged as an API so it can interact with the rest of the application elements. It’s hard to overstate how paradigm-shifting this new approach is. It totally flips around many of the challenges of traditional monolith deployment. A microservices-based architecture offers a lot of benefits in theory, but it’s difficult to make it work in practice. That’s why we’re still very much in the early development stages of this idea, and that applies even more strongly to larger companies. But this isn’t entirely now. In fact, the concept of splitting applications into smaller interactive parts has actually been around as a programming paradigm for a while. One of the reasons why it’s taken this long for microservices to emerge as a legitimate alternative is simple: culture. Implementing this architecture isn’t just a technical decision: it’s about having the right teams in place, being comfortable using open source, and working in an organization that’s comfortable challenging the status quo in IT. IT organizations are still figuring if they’re willing to make this shift. But in the meanwhile, those who do and find the right fit are reaping the benefits. As with any design decision, there are drawbacks to a microservices architecture. The major issue is complexity––breaking up your codebase makes it easier to understand, but creates complications in orchestration. Microservices means a distributed system, which comes with its own problems. Your team is going to need to handle some new situations. For example, any individual microservice can fail at any point, just like a traditional software deployment. You need to write logic to deal with that. Another issue is database management––with the monolith there’s typically only one or a few databases to update, but with microservices there can be many. Managing data consistency across a distributed system can be a major challenge. Finally, testing and deployment can become troublesome in a microservices-oriented architecture. If any services are dependent on others, you need to design a specific order for deployment and testing. Changes can impact multiple services in your application, and accounting for that is difficult. The shift towards microservices fits nicely with two other important trends in the deployment space: serverless and containers. Serverless is about abstracting the code around server side logic, and having a provider manage your infrastructure for you. We wrote about it more in depth here. Containers are all about bundling your code and dependencies into self-executing, independent packages. Containers and microservices fit together because they have the same fundamental goal – package individual components as independent, responsive elements. 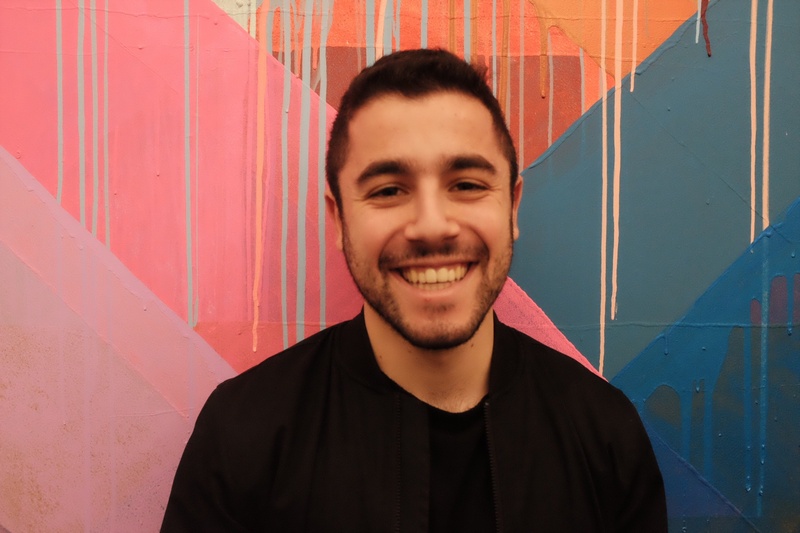 Serverless empowers this architecture by focusing on functions as a service––now that your application pieces are packaged individually, deploying them as functions can make a lot of sense. Algorithmia’s architecture brings all of these elements together by offering an easy to use platform for serverless deployment of algorithms as microservices. You get all the benefits of a microservices architecture, but it’s simple to orchestrate and integrate. Algorithmia is also the only serverless platform that offers GPUs, which are a key part of building a fast Machine Learning application. Algorithmia deploys algorithms as scalable microservices to take advantage of these two features.